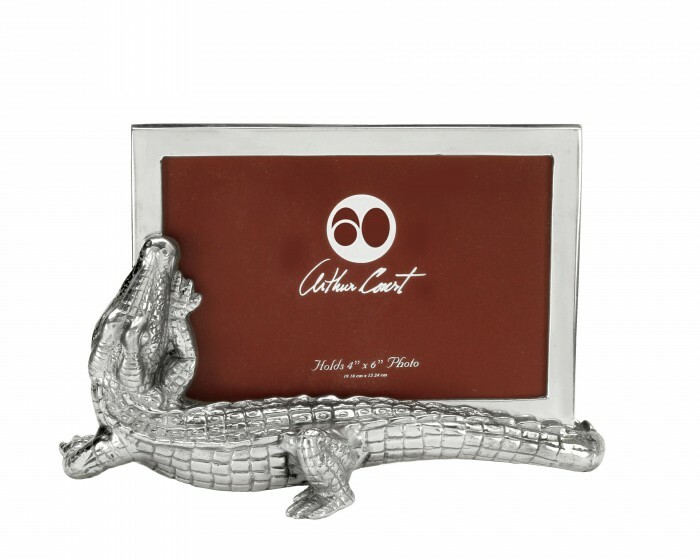 Enhance any picture of nature with this handsome 4x6 Alligator Photo Frame from Arthur Court. A sneaky alligator crawls along the bottom of this piece, arching its head up for a quick look at the people in this picture. 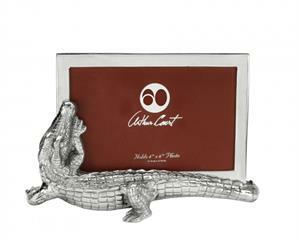 Handcrafted in sand-cast aluminum, this frame's gleaming finish contracts well against the alligator's rough texture.